cleartarn Blog - What next for Estate Agents’ Websites? 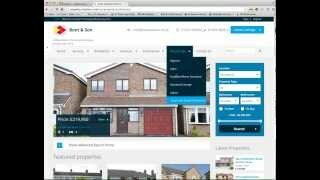 Blog 2014 Apr 09 What next for Estate Agents’ Websites? The launch of the Rightmove Real Time Data Feed, which enables Estate Agents to add properties to their websites and then immediately upload and publish the details on the Rightmove site, heralds a change in property marketing. There is a clear need in fast moving property markets to rapidly get new properties in front of potential buyers and the serious buyers will be expecting to get immediate notifications of properties which meet their requirements. The huge growth in the use of mobiles for data has been led by the younger generation and it is they that represent the inexorably growing proportion of future property purchasers who will demand to be able to view properties on their mobile devices. The new Rightmove Real Time Data feed is clearly designed to do this and providing agents have data feed systems capable of sending data to the real time system then they can rely on Rightmove to provide those rapid mobile services. For agents then, the issues are twofold. Firstly, are their systems able to take advantage of the new features and speed of publication that Rightmove are offering? Secondly, how do they promote their own agency to potential clients and buyers so that they continue to receive new instructions? Some ideas can be seen clearly on the Rightmove site. Nice image sliders, provision of video and audio tours, immediate publishing of new properties, QR Codes (three dimensional bar codes which link back uniquely to the Rightmove page for a property) are just some of the things to consider. Others are slightly less obvious, for example, does the site recognise the type of device that is being used and does Rightmove actually promote the Agent’s site or try to retain users in the confines of the Rightmove site? Most websites are viewable in a fashion on mobile phones. However, many sites are very difficult to use in this way and a quick inspection of the Rightmove site will show that it actually changes its format depending on your device. This is called a ‘responsive design’ – vital for users viewing the site on mobiles and an essential part of any new website that an Agent is considering. The use of QR codes particularly in sales particulars allows users to scan the code and directly view the property webpage on their mobile device – great for example for people looking through agent’s display windows or in advertisements. The QR code needs to point to the Agent’s website and not the Rightmove site though! Shortened links to property pages on the Agent’s site (e.g. Bitly links) are a great help. These can be used in Tweets to give the page address (URL) of the property on the website and don’t take a huge number of characters in the Tweet. Websites ought to be capable of generating both QR codes and Bitly links automatically for each web page. Viewing statistics to present to sellers is an invaluable tool. Not only to show the effectiveness of the Agent’s marketing, but also by way of comparison with other properties, for example where a property price is out of line with the market. The ability to view searches in which the property has been included, the numbers of direct views, numbers of automated emails and Tweets about the property gives the Agent invaluable information. Rightmove provide some of this data for their pages, but this should be available directly for the Agent’s site too. Google mapping and more importantly Google Street View are excellent tools for allowing users to do a virtual tour of the property neighbourhood. The ability to accurately locate the map pin as well as the position, angle and zoom of the Google POV (point of view) system is another key requirement of the Agent’s software. This information can now be fed to Rightmove, but it should also be used to display property locations and street views on the Agent’s site. To take advantage of real time data feeds the Agent’s website really needs to feed the property data directly to the portal i.e. Rightmove, Zoopla etc. Going through a system that gathers information from many Agents’ sites for a bulk upload at certain times of the day no longer makes sense – if it ever did! Similarly transferring image files to Rightmove is completely unnecessary as those images can be shared with the Agent’s own website. Bulk file transfers simply add delays and are a potential source of error or failure. Easy really – but not many systems are able to do this! In addition each individual page on the site must identify through the meta data (hidden data that the search engines see) what is contained on the page. This is not a list of keywords (Google apparently doesn’t even look at keywords now!) it is a proper description and title for the page that reflects the content. This applies to the property pages, but the same approach has to be applied to the pages outlining the Agent’s services – this is critical for brand building and ensuring that the Agent continues to generate new instructions for its services. Far too many sites simply provide the same title, description and keyword list on every single page. When the search engines view these pages why would they not conclude that the pages contain the same information? Social media can also play an important role in SEO providing it is sensibly integrated into the search engine optimisation strategy – but this is a whole new topic! Websites are often managed by administrative staff and incorrect property prices and details can be instantly published to the entire world. Secondly, websites are vulnerable to disgruntled staff. How quickly would you be able to rebuild your site if all of the properties were deleted for example? To provide protection here website software should have varying permission levels so that a higher level approval is required prior to publishing and of course systems should be designed to prevent page deletions without permission. Beyond this, the website contains a huge amount of changing data. The assumption is that the data is safe – but is it? What about automated backups, does your system do this, and where are they stored? Backups held in the same building offer little or no security against fire, flood, theft etc. A better approach is to have the website back up to a cloud server operated by a data warehouse. Rightmove are clearly the market leaders, but there are moves from organisations such as Agents’ Mutual to challenge this lead. For Agents this means that any website system you choose must have the ability to have new feed systems added quickly in the future. For websites themselves, the pace of change in the look and feel of sites and how information is displayed is very rapid. Most attention is paid to the look and feel of the website, because that is what the user sees. But given that it does and should change, the website system should allow the look and feel to be easily updated in the future. Designing a site which has a skin to provide the look and feel and which is responsive to the viewing device is the right approach. Behind the website skin should be a robust engine which manages the data structures, feeds data to the property portals and search engines and which can be easily scalable with the Agent’s growth. Ease of use and the ability to get quickly to the information required is an operational must. With a robust data structure and database management system, then apparently new sites can be created with minimum disruption in the future. This allows the addition of new features and functionality as these areas evolve without affecting the underlying data. By adopting this whole site approach to website design and incorporating proper SEO approaches the Agent will be taking a significant step to protecting and developing their market position for the future.